Inspired by the role of electricity in the human body, Motionhouse’s exhilarating new multi-media show Charge is about energy. From the electrical charge that sparks human life, to the beating of our hearts and the memories we make, six performers use dance and acrobatics to delve deep into the human body, tracing the incredible story of energy in our lives. Digital projections create a world on stage where dancers and images interact seamlessly, bringing to life stories of energy in our own bodies and humans as energy manipulators. After the success of Scattered in 2016, Motionhouse return to The Baths Hall with another exciting fusion of art and science. 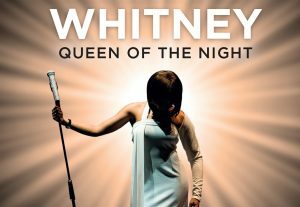 Please note this that this a tribute production and is not endorsed or affiliated by the Whitney Houston Estate. 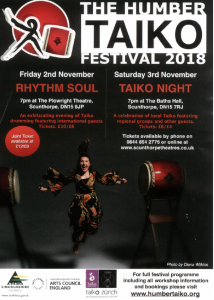 Join us for this breath-taking concert spectacular, taking you on a musical journey through all your favourite songs, including: ‘Night Fever’, ‘Stayin’ Alive’, ‘More Than A Woman’, ‘You Should Be Dancing’, ‘How Deep is Your Love?’, ‘Jive Talkin’’, ‘Tragedy’, ‘Massachusetts’, ‘Words’, ‘I’ve Got to Get a Message to You’, ‘Too Much Heaven’, ‘Islands in the Stream’, ‘Grease’, ‘If I Can’t Have You’ and many more! 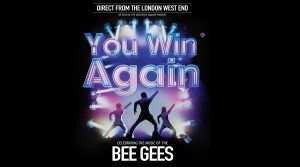 Direct from London’s West End, You Win Again – Celebrating The Music of The Bee Gees. 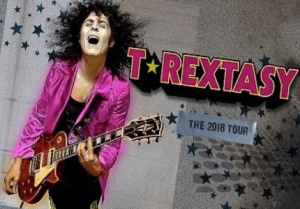 Prepare to experience the distinct sound of one the greatest bands to have ever graced the stage in this unforgettable concert spectacular. 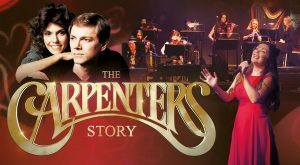 Immerse yourself in the brothers’ music through the sixties, seventies and eighties – including hits they wrote for artists such as Celine Dion, Diana Ross and Dolly Parton. 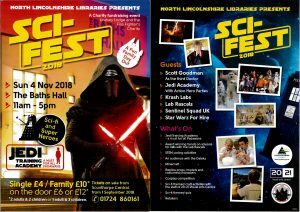 Join us for this breath-taking concert spectacular, taking you on a musical journey through all your favourite songs, including: Night Fever, Stayin’ Alive, More Than A Woman, You Should Be Dancing, How Deep is Your Love?, Jive Talkin’, Tragedy, Massachusetts, Words, I’ve Got to Get a Message to You, Too Much Heaven, Islands in the Stream, Grease, If I Can’t Have You and many more! This fabulously authentic production ensures the Gibb brothers’ incredible legacy of classic hit songs is well and truly stayin’ alive. Chubby doesn’t hold back from sharing his outlandish views, sailing so close to the mark, even the most seasoned of fans will be left gobsmacked. 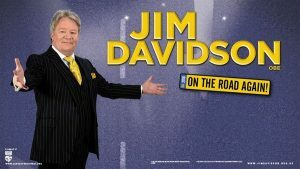 As politically incorrect as ever, this live performance is the only place to catch this flamboyant comedian. If easily offended please stay away. 18+ only.